The USO of Hawaii operates a lounge in Terminal 2 for active military personnel and their dependents. The lounge is located on the ground level of the terminal between Baggage Claims 19 and 20. The Lounge is open daily from 8 a.m. to 11 p.m., except Christmas Day. 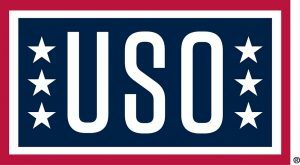 The USO offers free pastry and coffee, internet services, shower facilities, and a room for children which is equipped with toys, books and games. In addition, they offer vending machine snacks for sale. For more information call (808) 836-3351.